We are the Tarter family!! We are on our second journey to bring a little one home from China!! 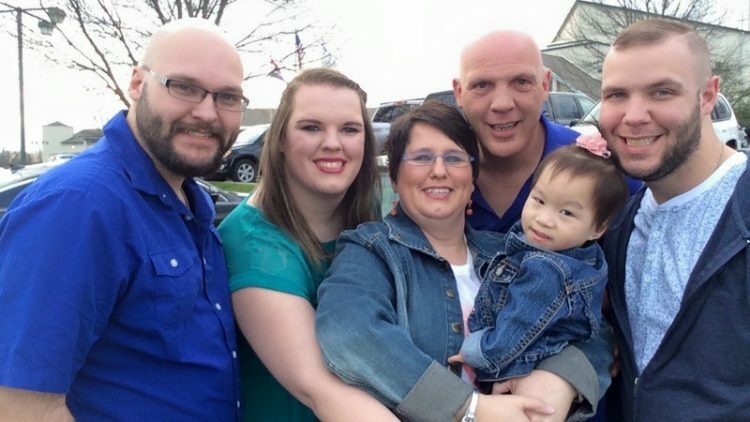 We would love your support and prayers in this adoption. Adoption is a wonderful journey filled with lots of peaks and valley's. Come join us as we maneuver this amazing journey God has asked us to take again! We are honored to be called to adopt once again! God has been amazing at reassuring us that moving so quickly after our first adoption (home 18 mths) that He would provide all we need. International adoption is a daunting task but we are so thankful that we are NOT in charge, and that we are following the One who is!! Every child deserves a family and medical care and love. Being parents to special needs children isn't easy, but we can't imagine them not getting the love and care they deserve! We are truly living out James 1:27 to look after orphans in their distress!! Grateful to have you on the journey with us. If God leads you to come along side us financially, know that you will be making a forever difference in the life of a child!! We are using Adoption Bridge so those who want to donate with a non profit may be able to retain a receipt for their donations. Adoption Bridge also supports adoptive families specifically and their heart to place children in forever families! Our hearts are for the orphans all over the world!! Our Little Curveball Our Best Recruit Is Yet To Come..Keep Your Fork!